Cactushop is built on now-obsolete technology and development was discontinued many years ago. Upgrading to Kartris has numerous benefits. Upgrading a dated Cactushop site to Kartris can significantly increase sales. How? Google now factors security, site speed and support for mobile browsing into its rankings. A Kartris site will therefore rank higher than a Cactushop site, increasing traffic. 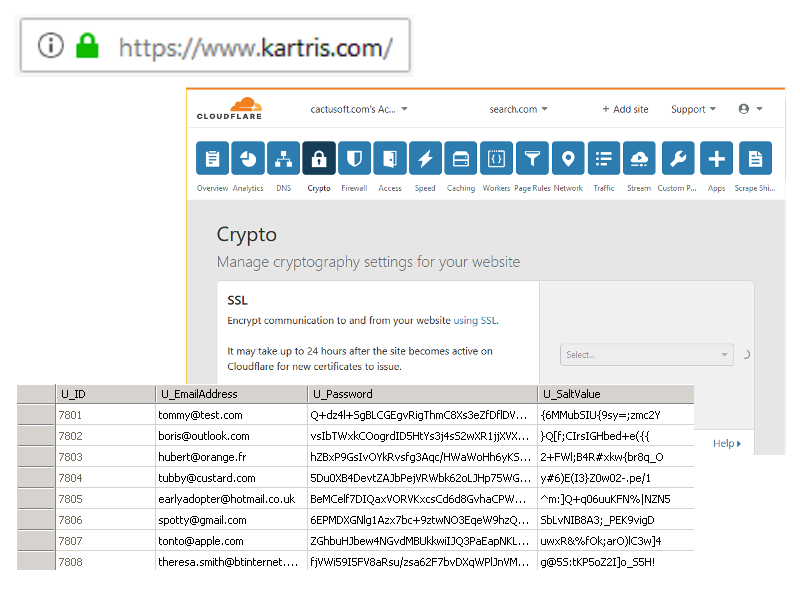 Kartris also has various SEO features, incorporating support for Google and other standards that didn’t exist when Cactushop was designed. At present you could be losing up to 50% of the visitors to your site because they are on mobile devices and find your site difficult to use. Kartris works perfectly on tablets and smart phones, helping retain up to twice as many visitors as Cactushop. Increasing visitor numbers, and increasing the percentage of visitors who become customers can significantly increase sales. 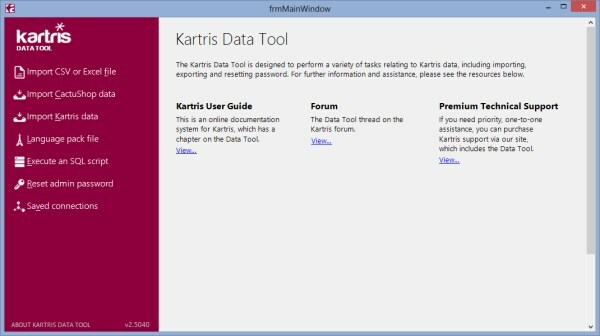 Kartris offers a much-improved administration area, making tasks that were time consuming much quicker. Since Kartris is based on the years of experience we gained developing Cactushop, the learning curve for Cactushop users is much smaller than moving to other ecommerce systems. It’s no longer necessary to upload multiple sizes of each image… now only large images are required and Kartris will thumbnail and reduce them as required on the web site. Site product updates can be automated to run on a regular basis, using the Kartris Data Tool, so you can update pricing and stock availability from third party data feeds and even have new products added to your site as suppliers make them available, if you choose. 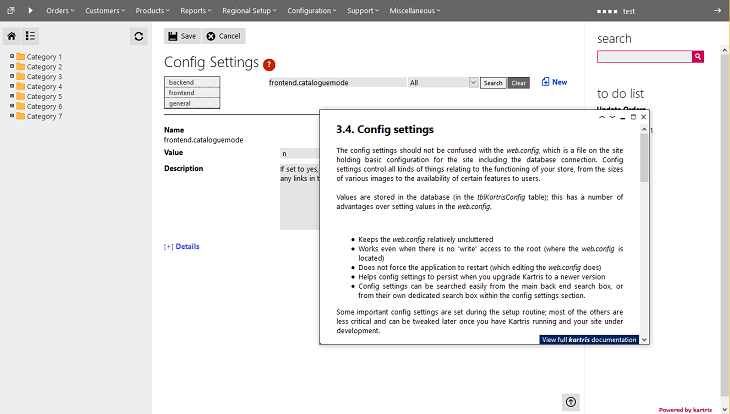 Kartris incorporates context-sensitive help in the admin area, making it easier than ever to use. Having your site hacked is every webmasters' nightmare. It causes disruption to your business, deters customers from ordering, generates bad publicity and may result in legal liability for failing to keep security up to modern standards. Hashed and salted passwords, parametrized SQL Server stored procedures (eliminating risk of SQL injection attacks), defences against XSS attacks ("cross-site scripting"), as well as better support for HTTPS (including that provided by CDNs like CloudFlare). The Kartris code is free and open source. This means any security researcher or skilled developer can download and review the code to check for flaws that could compromise security. Microsoft reviewed the application for security prior to including it on their web app gallery. To date we've never seen a Kartris store hacked, or had any vulnerabilities reported by a third party. Why Choose Cactusoft to Upgrade your Store? Most web developers claim a proficiency in ecommerce, but few have the skills or experience to seamlessly migrate a Cactushop store to a modern system. Kartris has built in support for the mapping of old Cactushop product urls. Old indexed pages will be seamlessly mapped to the corresponding Kartris page. Over the years you've spent time and money adding products to your site, and users have created thousands of customer accounts. A developer upgrading a site would typically charge for the time-consuming work required to transfer this data to a new system, or for manually copying it across. Cactusoft has developed the "data tool" - a software application that handles importing Cactushop data into Kartris. It saves us many hours of time when upgrading sites, and therefore saves our customers from expensive data migration costs. We've helped numerous customers upgrade their outdated Cactushop sites to a modern responsive Kartris site. We built both systems so we know each of them intimately. Even if your Cactushop has been modified by a third party developer we should be able to assess those modifications, and make similar ones to Kartris.